Billionaire Howard Schultz has announced his resignation as Chief Executive of Starbucks for the second time. Schultz – who stepped down in 2000, only to return during the financial crisis of 2008 – has made the move in order to focus on the premium side of the business. He will hand the reigns to his tech-savvy right-hand man, Kevin Johnson, who is currently the company’s president and COO. Johnson will take full responsibility for Starbucks’ global business and operations as of April 3, 2017. Johnson has big shoes to fill. 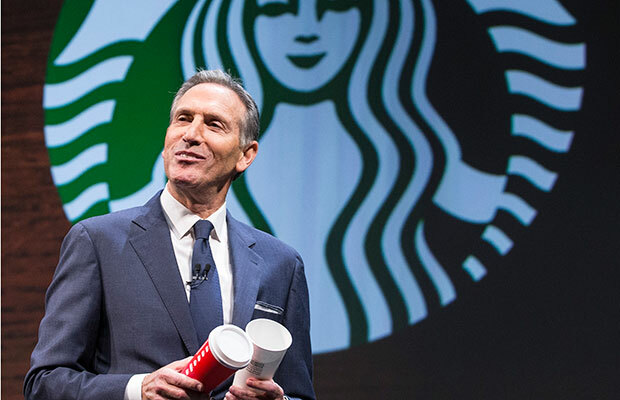 After returning to guide the company through the economic slump of 2008, Schultz trebled Starbucks’ margin on earnings before interest – increasing earnings before tax to 18.1 percent while seeing shares rise almost eightfold. Schultz’s new position as executive chairman will see his focus shift toward innovation: primarily focussing on the high-end Reserve Roastery sector, as well as the social impact of the brand. Similarly, social impact has previously played a key role in the decision making process for Schultz. In 2014, he set up an initiative sponsoring staff to earn online college degrees. His social-conscious also led to the opening of a number of stores on military bases, encouraging the employment of veterans and active-duty spouses. The news has not come lightly for investors though, with stock plummeting 3.9 percent to $56.25 in after-market trading on Thursday. Since its birth on the Seattle waterfront in 1971, the coffee company has nevertheless experienced unprecedented success. The company – which subsequently introduced tea, hot food and Apple Pay to its signature coffee line – has helped pioneer the use of electronic ordering, introducing the Starbucks mobile payment app in 2014. In 2015 it topped sales at $19bn. Its presence now spans 25,000 stores in 75 countries. Further growth is expected, with the company intending to open a further 20 roasteries and 1,000 reserve stores by the close of 2019.